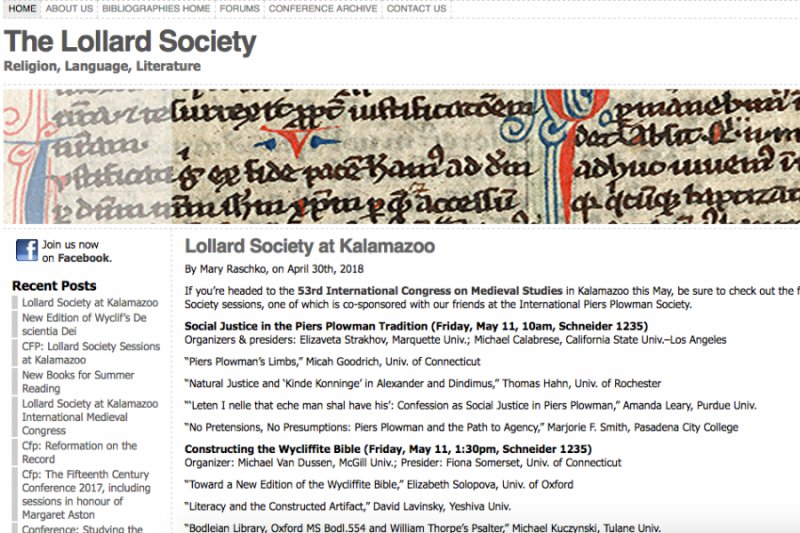 Do you visit Lollardsociety.org to make use of its extensive bibliographies or to learn about conferences relevant to Wyclif, lollards, or late medieval religion? If so, please consider making a modest donation to help support the society's website. Since the Lollard Society has no official membership roster or dues, we have counted on just a few individuals to finance our web hosting. With this Gofundme campaign, we hope to raise enough funds to support the website through at least the end of 2020. Thanks to all, in advance, who help ensure that the Lollard Society continues to have a vibrant presence online! Wow, thanks to all who donated for your rapid response and generous contributions! We have raised enough money to support the site for four years. I'll organize another campaign before this supply runs out entirely, but thanks to your generosity that won't be until summer of 2021. I'm impressed by and so appreciative of your support for lollardsociety.org!